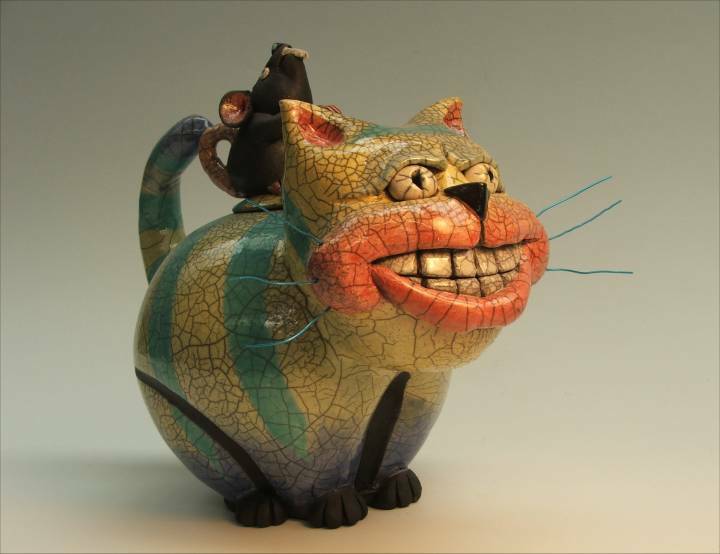 After retiring in 2008 from a large engineering firm I returned to the Northwest to take up pottery full time. 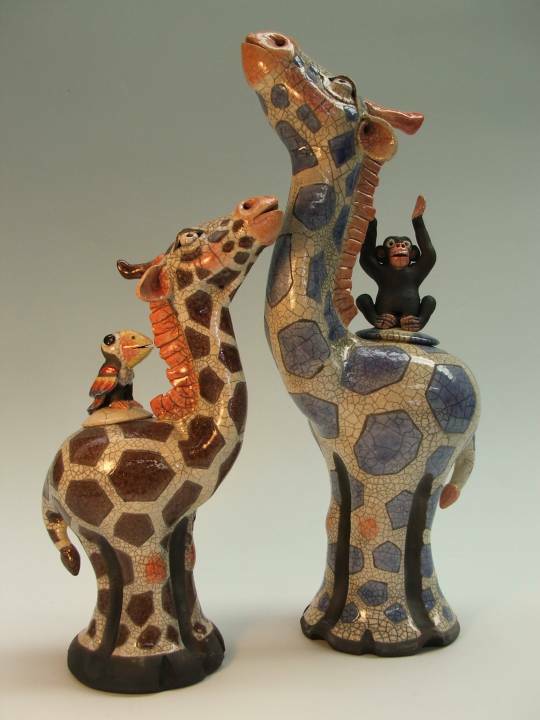 I primarily work in Raku to create large oriental vases and whimsical animal shaped vessels. 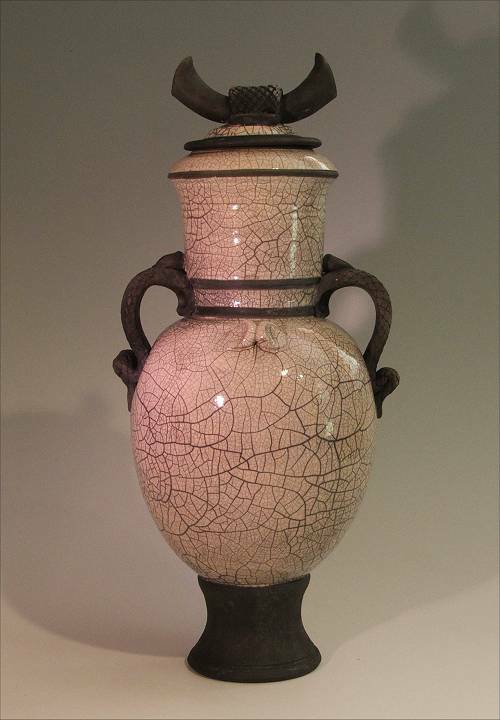 I attempt to contrast form, color, and texture, often by attaching hand built sculpture to wheel thrown jars and lids. I live outside of Roseburg up the North Umpqua River and welcome visitors to my studio.